To clutter or not to clutter? That is the question that no director ever asked himself ever. Why? Because they know that the key to efficiency and effectiveness lies in keeping things simple and this includes your home office as the prime place that you need to design in the most minimalist way possible. Go brutal with minimalism, and reach a point where you don’t even have walls or ceilings in your home office! Hell, you shouldn’t even have pants on. So that’s why this list here should give you some ideas on how you can help your current office shed some un-neccessities or build a completely new one! Not just because you get a ton of space underneath the table but also…why not? A floating table is a must in every directors home office. Get a good thick wooden panel (black or brown polished wood) and install it in your wall. You get a sense of outer worldliness particularly if you got a good view from your window. Word of advice though, don’t sit on it or do stuff with your secretary on it. 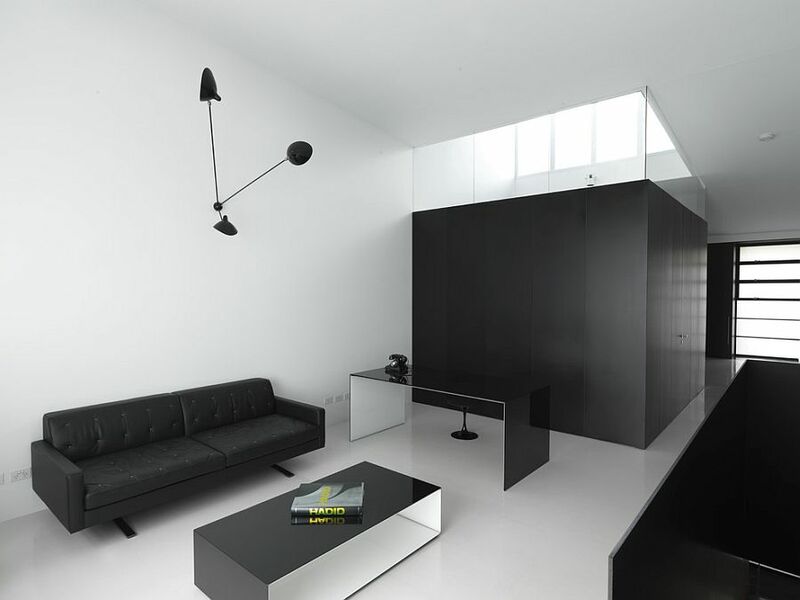 The world frugal gets a new meaning here and it takes the shape of a black and white minimalist office design. Might seem like nobody works here (no laptops and stuff), but if you have a home office like this it means you already made the moneyz and probably out on Bali suntanning! You work a bit, then you just slide to the left and take a nap! The person who designed this must be lazy by nature and all directors thank him for being who he is! Simple, minimalistic and unobtrusive design that declutters your home office. Add an amazing view like the one above and you have your perfect minimalistic nap…work office at home. It looks like there’s no table at all and your room gets a boost in size just by replacing the standard desk with this L shaped glass art piece. I’d be very careful about throwing tantrums while at this desk. FYI don’t come in your home office drunk, you’ll probably shatter everything to pieces. The ultimate dream of every director (or at least one of those dreams) is to have a home office, in a remote area outside of the urban jungle with great wifi and access to burgers. 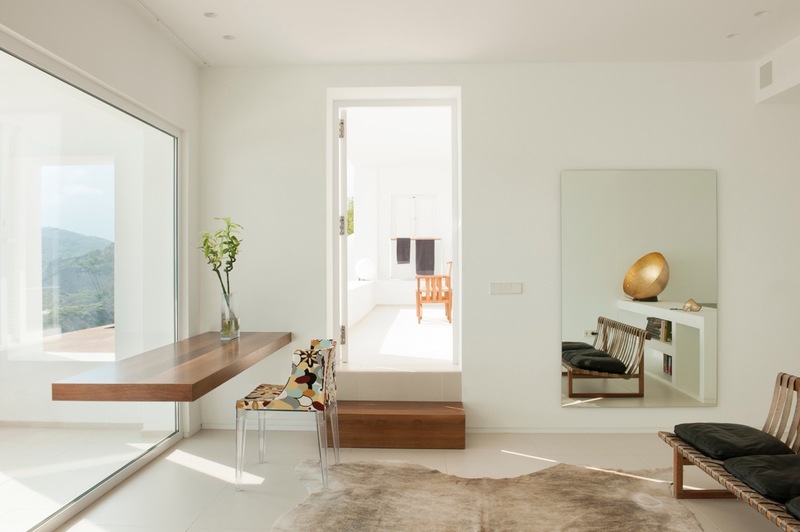 Check out the masterfully positioned window, as if someone just sliced through the room and let the sunshine in! Just added this to my bucket list. Nature, wooden minimal desk and a burger. Minimalism at its finest.